The book is available in printed form or as a PDF file directly from the publisher and is available from European retailers. The author and publisher of First Fundamentals is Robert Jasiek. The book is of A5 size, has 212 pages, has 4.5 diagrams per page on average, and has the suggested price EUR 25 (printed book) or EUR 12.50 (PDF file). tchan001 has written a short review. It helps beginners to rise above their current level and become intermediate players as quickly as possible. It helps intermediate players to abandon their remaining beginners' mistakes. Here, 'beginner' does not refer to 'absolute beginners', who have not completed their first 50 games yet. In 2012, 'beginner' is roughly associated with EGF double digit kyu level and AGA or KGS 5 kyu or weaker. The book can be useful for intermediate players up to circa EGF 4 kyu, AGA 1 kyu or KGS 2 kyu. Besides the topics apparent from the table of contents, there are a few more. 'Attack and defense' is carefully discussed in several chapters and studied from different perspectives. The basic shapes and principles for 'josekis' are presented. The relevant chapter explains the decision process of 'reading' ahead move sequences. The book does not presume preliminary knowledge; the few used terms such as moyo, efficiency or sente are explained. The author studied some 100 beginners' games to identify, without exception, all the important, regularly occurring beginner mistakes, which are responsible for almost all of a player's lost points during his games. The mistakes are illustrated in the many examples taken from or motivated by beginners' games, and are compared with correct moves and sequences. The fundamentals of go theory are taught as principles, which are very simple, clear and concise. Besides principles in the headings and a few minor principles, the 58 major principles are stated very prominently in the text. If the reader has seen a book about fundamentals stressing their importance but hardly explaining them or teaching some but hiding them in the text, this book does not disappoint him: it includes each needed principle and makes it very easy to find "Choose the bigger space. ", "Do not attack yourself. ", "Capture important groups firmly." and all the other principles. Every major principle is followed by a general explanation, half a dozen to two dozen examples and their comments. This presentation allows the reader to understand and learn easily one principle after another. Each chapter is preceded by an entertaining short story, which serves as a parable for a key idea to be learnt in the chapter. Every chapter starts with an introduction and concludes with problems, which allow the reader to test his learning success. By teaching just all those principles needed to surmount all the important beginners' mistakes, First Fundamentals fulfils its aims and enables the reader to improve quickly. While most diagrams are simple, a small fraction of the examples or problems may be too advanced or contain too many moves for a beginner's taste and may be welcome more by intermediate players. Consider this salt as a motivation for becoming stronger. Is there any other limitation? Since the book teaches all necessary topics, it does not compete with pure problem books, whose sheer number of problems allows a more exhaustive practical training of reading and life and death. The converse is also true: reading alone is insufficient. A beginner must know what to read and which mistakes to avoid, and the principles of First Fundamentals reveal this essential knowledge completely. 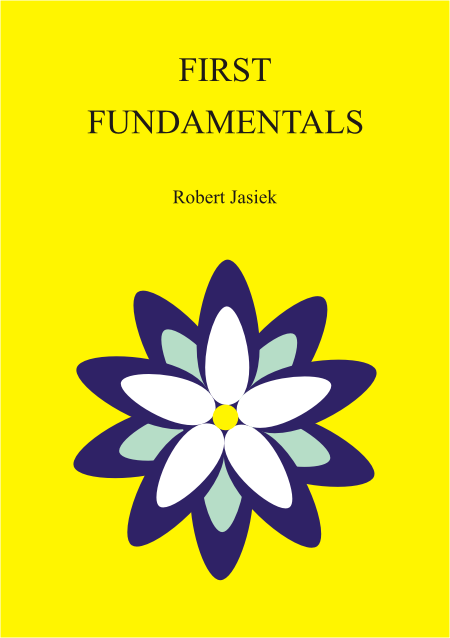 First Fundamentals fills an urgent gap in literature, which existed between books for absolute beginners and books for intermediate players, and meets the demand for a detailed explanation of all the fundamental principles beginners must know to rise quickly above their current level.